If there is such a thing as creativity as thus defined, then it is clear that civilization must owe much, if not everything, to the individuals so gifted. The greater the number and variety of genuinely creative minds a nation can produce and cultivate, the faster will be its rate of progress. However, the pastime of debunking the 'cult of great men', which became so popular when Spencer and Buckle were laying the foundations of social and political theory, has once again become fashionable; and in these egalitarian days it requires some courage to pick up a pen and defend the concept of 'creative genius' against the onslaughts of the scientific sceptic. It is, so the critics assure us, not the gifted individual, but the spirit of the age and the contemporary trends of society—what Goethe called the Zeitgeist—that deserve the credit for these cumulative achievements; had Julius Caesar's grand-nephew succumbed to the illness which dogged his early youth, another son of Rome would have reorganized the State, borne the proud title of Augustus, and been duly deified. Had Copernicus, Kepler, and Newton fallen victims to the plague, one of their contemporaries would sooner or later have hit upon the scientific laws now coupled with their names. Certainly, Aut Caesar aut nullus is not an axiom to which the modern historian would subscribe either in these or any other instances. Yet to build up an empire on the ruins of a republic, to devise the theories which govern modern astronomy, would still have needed the vigour and the brain of an individual genius. And can anyone believe that, if William Shakespeare, like his elder sisters, had died in the cradle, some other mother in Stratford-upon-Avon or Stratford-atte-Bow would have engendered his duplicate before the Elizabethan era ended? 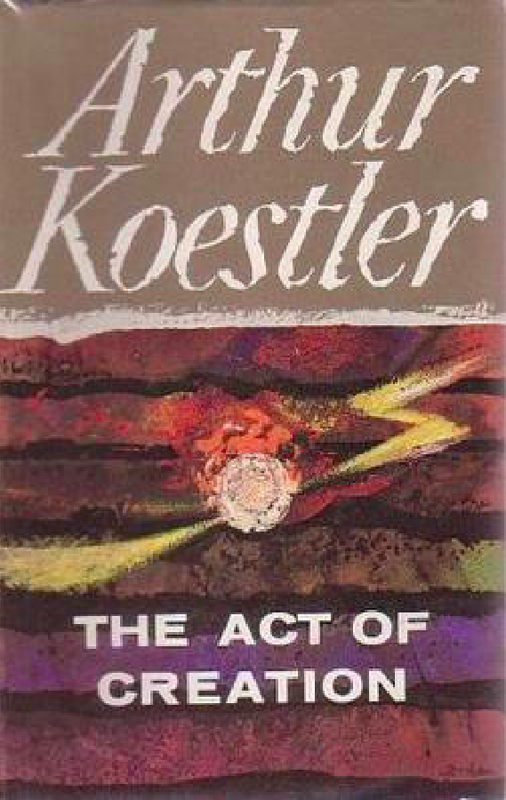 [Koestler] begins with human creativity as exemplified in art, science, and literature; and to these fascinating topics the first half of his book is devoted. But he holds that creativity is by no means a peculiarly human gift; it is merely the highest manifestation of a phenomenon which is discernible at each successive level of the evolutionary hierarchy, from the simplest one-celled organism and the fertilized egg to the adult man and the highest human genius. It is, to adopt his phraseology, an Actualization of surplus potentials’—of capacities, that is to say, which are untapped or dormant under ordinary conditions, but which, when the conditions are abnormal or exceptional, reveal themselves in original forms of behaviour. 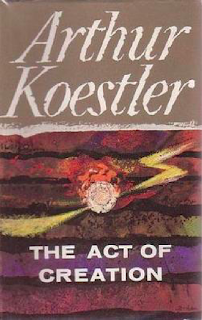 This 'actualization he seeks to trace through morphogenesis, neurogenesis, and regeneration, and the various departures from simple instinctive behaviour in lowlier creatures, up to the more ‘insightful' forms of learning and of problem-solving exhibited by animals and man. At every stage, so he maintains, much the same 'homologue principles', derived from the hierarchical nature of the basic part-whole relation, can be seen to operate. This is of necessity the most technical and the most controversial part of his work, but it is also the most original and illuminating.